Ever notice how you never see JFK and Batman in the same room at the same time? I'll let you draw your own conclusions. I’m going to argue that conspiracy theorists are people who have the desire and motivation for Science, but they stop too soon. I'm not going to say they're too lazy or too scared of discovering the truth...but I am going to argue that they commit the "taxicab fallacy" i.e. they adopt an approach, take it where they want to go and stop when they reach an exciting conclusion, rather than following it through to the end. A student of mine, let’s call him Edward, believed the 1969 moon landing was a hoax. As a Science teacher I hear this a lot and I don’t mind at all. It sounds like a cool and exotic thing to believe, right? In fact, when I was twelve, I believed in the moon-hoax myself (for about a day) after watching an interview with a conspiracy theorist who had what I thought were good arguments. My father quickly explained how we know the moon landing did happen and, hearing his explanations, I changed my mind back to the conventional belief. I’m not ashamed of this. Everyone make mistakes. No big deal. So, I sat Edward down and went through the whole thing. Why the footage has no stars in the sky (exposure of the camera), why the flag appears to move (it’s made of tinfoil and wobbling from being put into the ground) why there’s a second light source (it’s the Earth) etc. and then I gave the evidence for the moon landing. The Soviets monitored the moon landing and acknowledged it happened (they would have given anything to avoid that). We can shine lasers onto retro-reflectors planted by Armstrong and Aldrin and bounce them back to Earth. We can see the Lunar landing module with a powerful telescope. And, perhaps most importantly, the astronauts are moving in slow motion which wasn’t possible to fake in 1969 due to camera technology (you’d need to create an impossibly long stretch of film to do so) and could only be achieved in a low gravitational field i.e. the real moon. That’s right, he literally said whoa. I know the hoax explanation does suggest something pretty exciting, but the fact we journeyed to the actual moon is even more astonishing. Edward thanked me and spent the next few months researching space travel. Reality was cooler than the cloak and dagger stuff he’d been fed. I’ve always found the same thing. I have never heard a conspiracy theory which was as exciting, mind-bending, astonishing or baffling as the way nature actually is. I had a different experience with another person, let’s call her Marge. She believed dinosaurs hadn’t existed. In her own words “the government put the bones there as part of a global conspiracy.” Once again, I tried to explain why I thought she was mistaken. I explained that most fossils weren’t bones at all and a lot of them were stuck too deep into the rock to make burying possible. I explained the history of palaeontology and how difficult it would have been for governments to orchestrate this as far back as 1676 (the earliest confirmed dinosaur fossil) or to fool Chang Qu in 2000 BC who discovered the earliest fossil. Maybe I am doing Marge a disservice but I got the impression her motivation to believe in the dinosaur-conspiracy was desire. It seemed as though she preferred the conspiracy. Plus it’s possible she didn’t want to back down (another perfectly understandable and entirely human behaviour). Thing is, she didn’t have a counterargument to my evidence while I had counterarguments to every point she made. That’s probably a good litmus test: a sound theory should be able to explain not just the evidence, but also dis-confirm the counterarguments. Ever notice how you never see Marge Simpson and JFK in the same room at the same time? I'll let you draw your own conclusions. Why are Conspiracy Theories Popular? It’s not surprising that conspiracy theories are common. They usually have some Scientific, political, economic, technological or sociological spin to them which sounds like the kind of thing we’ve heard experts saying. "Moon landing faked because USA wanted to embarrass USSR" has an authentic ring to it. By understanding such a theory we’re showing other people (and ourselves) that we understand history, global politics, governmental behaviour and we therefore have a claim to intellectual understanding. Plus it feels good to believe you’re one of the few people who’s seen through the lies. You’ve managed to outwit the people in charge and that makes you feel good. Of course it does. Everyone likes to feel clever. Thing is, the world is run largely in secret. None of us are privy to the meetings which take place in a government’s inner chambers or in a corporation’s boardroom. None of us know what the intelligence agencies are up to and none of us know what’s inside Area 51 (or, to give it its proper name: Homey Airport at Groom Lake). We get to put a little cross on a piece of paper every few years and otherwise we’re sort of powerless. That’s not a nice feeling. Conspiracy theories give us a sense of control again, like we have power over the faceless corporations which run much of our lives. There’s an obvious attraction there. Conspiracy theories also give you explanations (even blame) for why things happen. For instance, during the outbreaks of AIDS, H1N1 and Ebola there were conspiracy theories everywhere. It’s very tempting to put an organisation in place as having “started the disease” because it gives us someone to be angry at, rather than the cold, blunt truth that horrible things happen without reason and we cannot stop them easily. Plus it once again makes us sound like one of those experts we’ve heard talking on TV: we can start throwing around words like “virology”, “genetic engineering” and “genome” etc. etc. which again shows everyone, and ourselves, that we really do get it! Also, and perhaps most temptingly, conspiracy theories are easy. Science, economics, social politics, history etc. offer you the same thing as conspiracy theories: unobvious and hidden explanations for what’s going on in the world. But they’re hard. Very hard. I love Science, but I’m not deluded, it can be hard work and sometimes the rewards aren’t immediately obvious. If you want to understand how diseases are spread you have to study Biochemistry, Pathology, Sociology, even medicinal history. This is difficult, depressing and often not fun. Alternatively, you can read a post on the internet that says government/scientists made diseases and deliberately spread them for some reason. This gives you the same sense of personal pride and cleverness, without having to put the hard work in. I’ve also noticed that conspiracy theories always seem to be depressing. People were very quick to claim the Ebola outbreak was organised by some shady organisation because it was a traumatic event (if it really was an organised disease though, it’s probably the worst organised disease in history. More people died of flu last year in the UK alone than have ever died of Ebola…in the world, so if this was the best attempt a secret organisation could manage, we really don’t have to worry because they’re evidently incompetent). But nobody, to my knowledge, has ever claimed the discovery of Penicillin, Sulfanilimide or Cis-platin (drugs which benefit the world) were conspiracies. Nobody ever puts forward conspiracy theories to explain the wonderful things which happen in civilisation: the end of apartheid, women getting the vote, the end of segregation in America, the abolition of slavery etc. If there are secret organisations running the world, they seem to do an awful lot of nice things for us as well. Yet this somehow makes the conspiracy less exciting doesn’t it? It’s more tantalising when there’s “an enemy” behind every corner watching us. Ever notice how you never seen Mark Twain and Peppa Pig in the same room at the same time? I'll let you draw your own conclusions. I often find conspiracy theorists are ever so bold, loud, aggressive and forthright in explaining their positions. They never let the evidence speak for itself. By contrast, Scientists tend to be fairly plain-spoken, dry and even (sadly) boring in how they present their findings. The reason is that they don’t need to compensate for anything. They’ve got facts on their side so there’s no need to embellish with performance. The truth doesn’t need to be shouted, it should be obvious from the most delicate whisper. So why do I think Conspiracy Theories aren’t all bad? There are several things conspiracy theorists do which Scientists mirror and even encourage. Conspiracy theorists don’t just believe the first explanation they hear (check). They look for the explanation behind what’s happening (check). They do research (check). They don’t worry about how they come across to others (check) and they are usually highly skeptical of explanations given by those in authority (check). I think conspiracy theorists are trying to make sense of the world, just like Scientists. They’re just not going far enough. Scientific speculations are easily falsified. In other words: Scientists set up ideas and explanations which you can easily check and destroy. In fact, the strength of a Scientific theory isn’t the evidence for it. It’s how easy it would be to find evidence against it, and yet none can be found. In Science we seek to disprove our guesses, not to confirm them. This is where conspiracy theories fall flat. I have no way to go back in time and follow Lee Harvey Oswald from birth to death to see if he was paid to shoot JFK. I have no way of talking to the pilots of the September 11th attacks to see if it was a false-flag operation. And so on. Conspiracy explanations are structured in precisely a way which means we can’t verify or falsify them. We aren’t inside the secret meetings of government and business, so we can imagine whatever we like. Try it. Next time you hear a conspiracy being described, ask the following question: "can you propose an experiment to test whether your idea is true?" Speculation about hidden government agendas are fruitless. If we can’t know what happens in a secret meeting, why assume a conspiracy? Why not assume there was no conspiracy? There’s just as much evidence. I can’t completely disprove any conspiracy theory because any conspiracy theory has an element of “we can never know the truth” . Science, however, sets up explanations which you can easily go out and check. A skeptic will see the moon landing and get suspicious about the lack of stars, so they start to question it (a healthy thing to do). They come to an initial conclusion: “that's not how space should look” and the conspiracy theorist goes no further, only seeking more evidence to back up that first conclusion. They don’t go the next step “is there another explanation for the lack of stars?” which is what the Scientist does…discovering that there is a perfectly good explanation. A conspiracy theorist types “moon landing faked – evidence” into Google. A Scientist types the same thing but after reading the evidence, types “debunked” to see if there are counterarguments. So, to any Conspiracy theorists reading I say you’re on the right track and your desire to know more is something I agree with completely. But you need to start searching for evidence against your conspiracy belief. Try to disprove it and see if there are non-conspiracy explanations for the puzzles you’ve sensibly spotted. It’s good to be skeptical about what you’re presented with, but you need to be skeptical of yourself as well. Question your intuition, attack your own motives, be self-doubting and always open to criticism. To everyone else I say this: don’t be rude to conspiracy theorists. They, like you, just want to find the truth. It’s better to be a conspiracy theorist than someone who never questions anything…it’s just even better to be a Scientist. Encourage the skepticism but don’t let anyone stop when they get to an exciting or salacious explanation. Push them further. Get them to doubt their doubts. Get them to investigate and investigate until they’ve reached the limit of what anyone can know. And, if all goes to plan, you’ll have turned them into a Scientist. At least...that's what the illuminati told me to write. 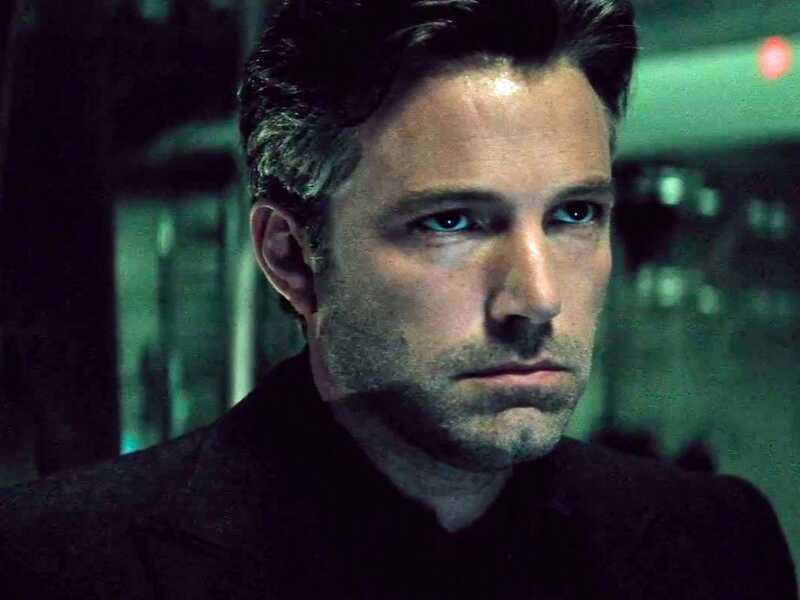 Ever notice how you never see Bruce Wayne and Batman together at the same time? I'll leave you to draw your own...wait a minute...oh my god.